Thanksgiving is a fantastic cooking and baking holiday. All those flavors and combinations make for a limitless buffet of options when it comes to tailoring a meal. But who says that you have to stick with traditional carved turkey? Or that turkey can only be eaten at Thanksgiving? 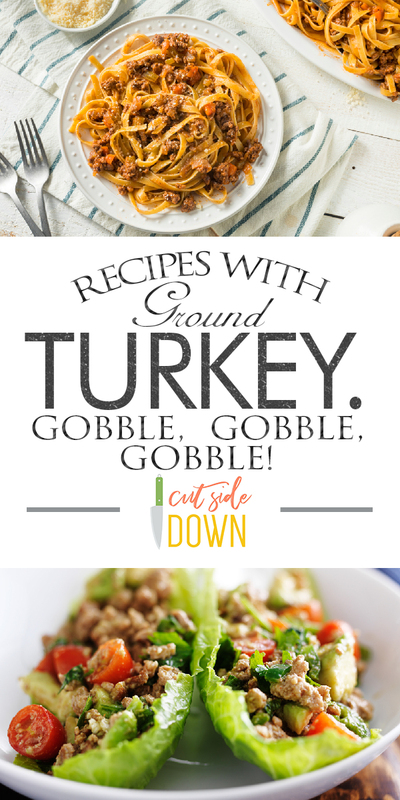 Turkey, especially when ground, offers a great alternative to ground beef because it’s lower in fat and just as delicious! Not to mention it’s very budget friendly, which is always a win in my book! 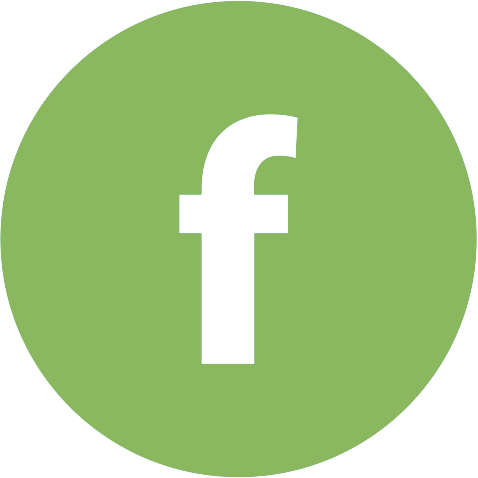 So, here are some great ground turkey recipes to get you started celebrating the holidays year round. 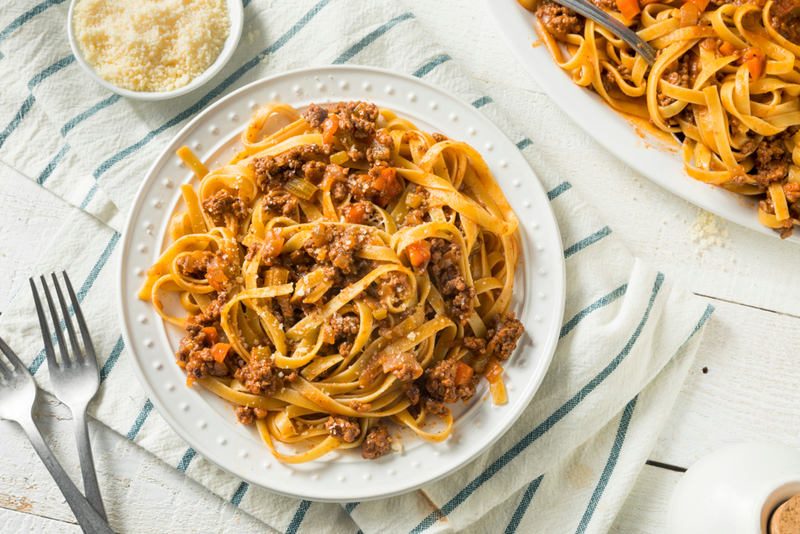 Spaghetti with Turkey Ragu: This is a great classic dish that’s easy to throw together and will feed any size group. Process: In a large stock pot (like this one), cook the spaghetti according to instructions for al dente pasta. Drain the water and return to pot. Toss with a little EVOO to keep them from sticking. While you’re cooking the pasta, heat a skillet (like this one) over medium heat and combine your carrot, onion, and garlic. Saute for about 5 minutes. Add your turkey and cook until golden until golden brown. This should take about 6-8 minutes. Toss in the wine, tomatoes, and rosemary and let simmer for about 5 more minutes. Toss spaghetti with the ragu sauce and garnish with fresh parmesan cheese. Turkey Taco Lettuce Wraps: If you’re looking for a quick week night meal with a twist, this is it! Combining taco, turkey, and lettuce wraps is a great idea that the whole family will love. Process: In a large skillet, warm up your oil over medium-high heat. Toss in your onion and cook until it’s soft, which should take about five minutes. Add in your turkey, season with salt, and cook like you would ground beef. Once the turkey is cooked through, add tomato paste and chili powder. Toss so it’s well coated, then add in the broth and simmer until nice and thick. This should take about two additional minutes. Pile up your lettuce leaves with the ground turkey mixture, cheese, tomatoes, red onion, avocado, and cilantro! 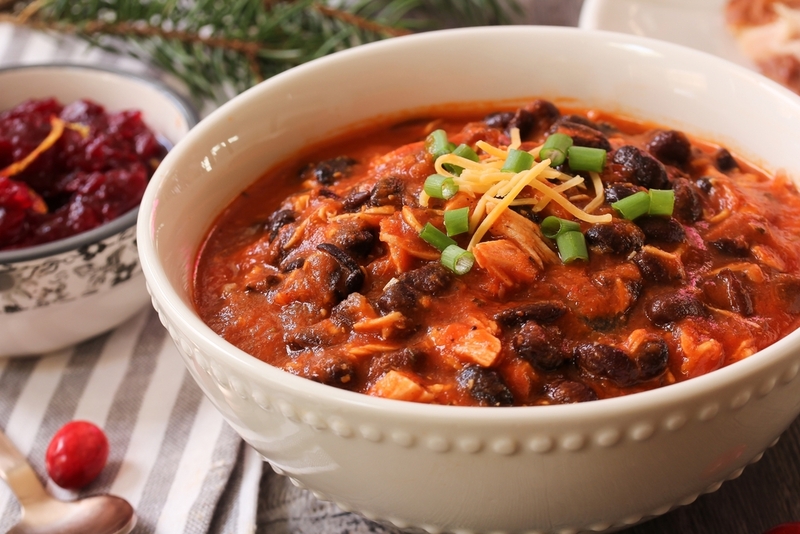 Slow-Cooker Turkey Chili: Cold weather is just around the corner (hopefully) and this is a great meal for those chilly autumn evenings. 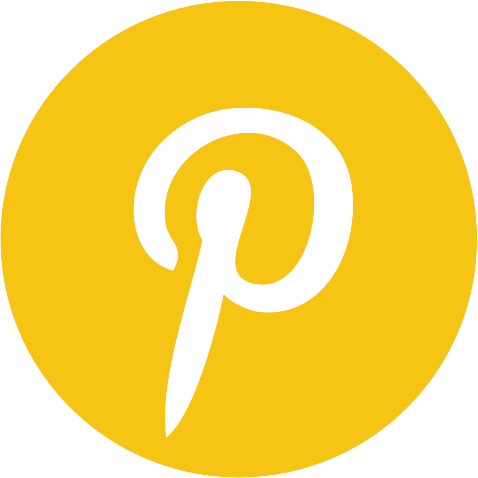 Plus, it’s a slow cooker recipe which rocks the house when you’ve got a list full of errands to run. Process: In a large skillet, heat your oil over medium heat. Cook the onion and pepper until they start to soften, about four minutes. Add ground turkey and cook until the turkey is mostly done. Season with salt and pepper, add in the garlic and tomato paste and cook for 2-3 minutes. Transfer this to your slow cooker and add your tomatoes, black beans, kidney beans, broth, and seasonings. Cook on high for four hours. The chili should be nice and thick. Salt and pepper to taste, then garnish with cheese, sour cream, and green onion. Thanksgiving Burgers: In celebration of the holy food holiday itself, here are some Thanksgiving burgers! It combines all the goodness of Thanksgiving in a wonderful, hand held way. Process: Over medium heat, melt your butter. Toss in the onion and saute until clear. Pour in the stock and bring it all to a boil. When it starts to boil, add the stuffing mix and stir until it’s mixed well and moist. Remove from the stove and set aside. Season both sides of the turkey burgers with your seasonings and add to a skillet set on medium heat and cook both sides for four to five minutes. Make your burgers! 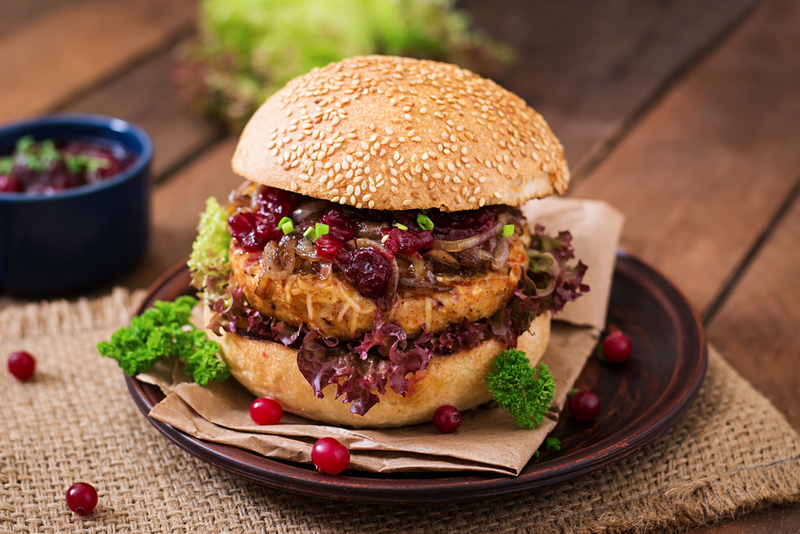 Put the turkey burger on top of the bottom bun and top with stuffing, cranberries, and gravy. And there you have it! 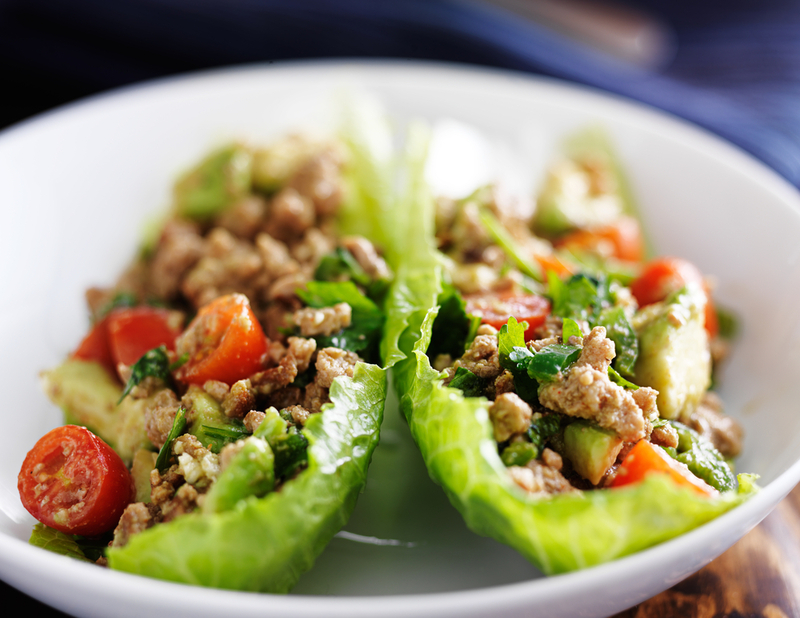 Four ways to do ground turkey that aren’t going to break the bank or your waistline. Happy Cooking!